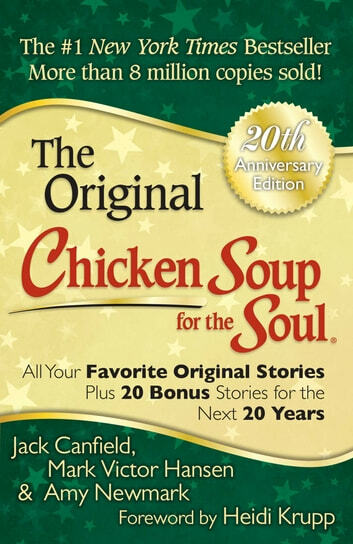 The twentieth anniversary edition of the original Chicken Soup for the Soul is brimming with even more hope and inspiration—the stories you’ve always loved, plus bonus stories, plus 20 bonus stories from today’s thought leaders. 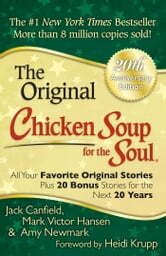 Twenty years later, Chicken Soup for the Soul continues to open the heart and rekindle the spirit. Celebrate the twentieth anniversary with the classic book that inspired millions—reinvigorated with bonus stories of inspiration! You will find hope and inspiration in these 101 heartwarming stories about counting your blessings, thinking positive, and overcoming challenges.